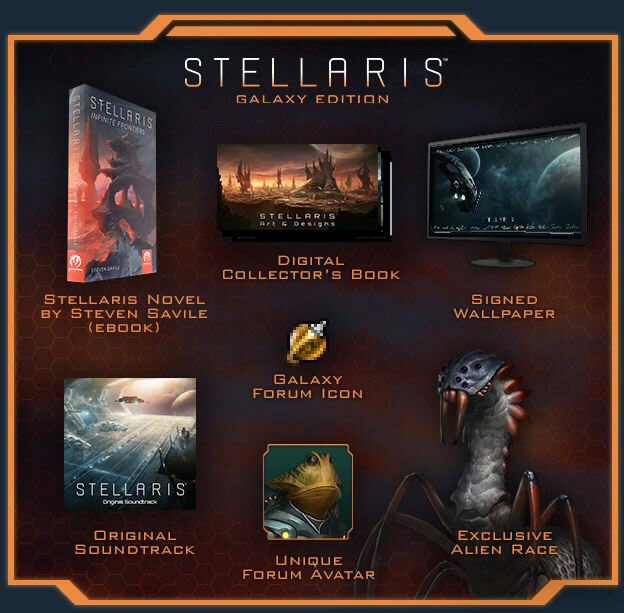 Download game Stellaris - Galaxy Edition right now! The Stellaris soundtrack delivers two and a half hours of original music, including bonus tracks and alternate versions not included in the game. Composed by Andreas Waldetoft with appearances by the Brandenburg State Orchestra, listeners will hear themes meant to evoke discovery and far-reaching exploration through the vast expanse of space through the fusion of orchestral and electronic music. MP3 and lossless FLAC are included. 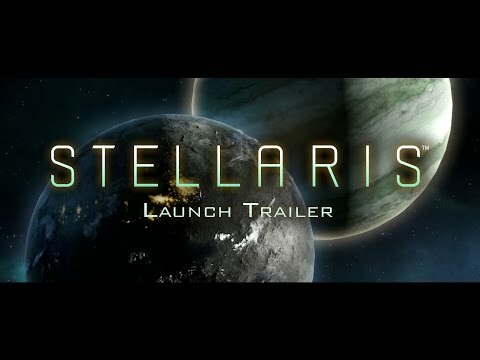 Join the creative team behind Stellaris to learn how the game's aesthetic design was designed and realized for Paradox's most visually unique game to date. From concept art all the way through full illustrations and 3D renderings, this book includes a collection of game art unavailable anywhere else -- along with insight into the thoughts and research that drove these designs, the problems the team faced along the way, and the ways they finally brought these visuals to life.